Tomaž Gornik, CEO of Better by Marand, will speak about the postmodern practices in Electronic Health Records (EHR) at the first HIMSS Philippines Community event themed “Healthcare in the Digital Age”. In his presentation, Mr. Gornik will focus on openEHR solutions with a multivendor environment built on an open and agile architecture, where introducing, renewing and replacing applications, devices, and cloud services is easier and faster compared to legacy monolithic EHRs. The Postmodern EHR approach corresponds with the latest recommendation by Gartner, stating that truly effective and sustainable open architectures will need a capacity for vendor-neutral data persistence, such as utilizing a common scheme or set of archetypes and rules for managing structured and unstructured data. This concept was used in a recent implementation of next generation EHR at FamilyDOC, a new chain of community-based primary care clinics in the Philippines. At FamilyDOC, they decided to select open-standards solutions that enable them to build an agile architecture that will support the expansion of the clinics chain. With Better Platform™ FamilyDOC clinics will store data in the same format so that doctors and nurses will always have the comprehensive set of clinical information while providing care for their patients throughout the chain of clinics. The EHR built on Better by Marand’s platform provides a foundation for innovation by enabling an ecosystem of apps and applications from various vendors. 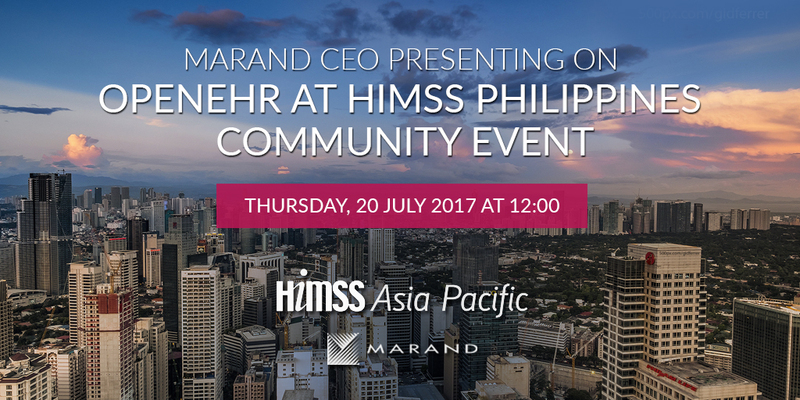 The HIMSS Philippines Community Event will take place on July 20 at the Holiday Inn Hotel and Suites at Makati City. The event is organized by Healthcare Information and Management System Society (HIMSS) and Ayala Healthcare Holdings, Inc.